Meanwhile, Professor, Dr. Amjad Qourshah has been very busy calling for violence against Egypt's Christians, even accusing them of attacking and burning their own churches, according to the Sharia unveiled web site. What is most interesting about Dr. Ahmad Qourshah is the help he has gotten from Facebook, which has allowed him the freedom to call for violence and amass 259 thousand likes as he does so on his Facebook page. Anyone who has ever attempted to network on Facebook for conservative or pro Israel causes has, in all probability run afoul of the Facebook thought police, who seem highly selective in their enforcement of company rules. It seems that Facebook, despite supposedly being a neutral communication medium, has a marked political bias. According to their rules, you are not supposed to develop new relationships on Facebook that did not exist prior to logging on. A blind eye can be turned, of course, if you belong to the Muslim Brotherhood. This selective enforcement of its rules can have deadly consequences when Facebook is used to promote and execute anti Christian violence. The IPT blog reports as follows. Unfortunately for Egyptians who are trying to build a civil society, and tragically for Egypt's Christians, the Obama administration and the major media outlets are discretely supporting the Muslim Brotherhood. 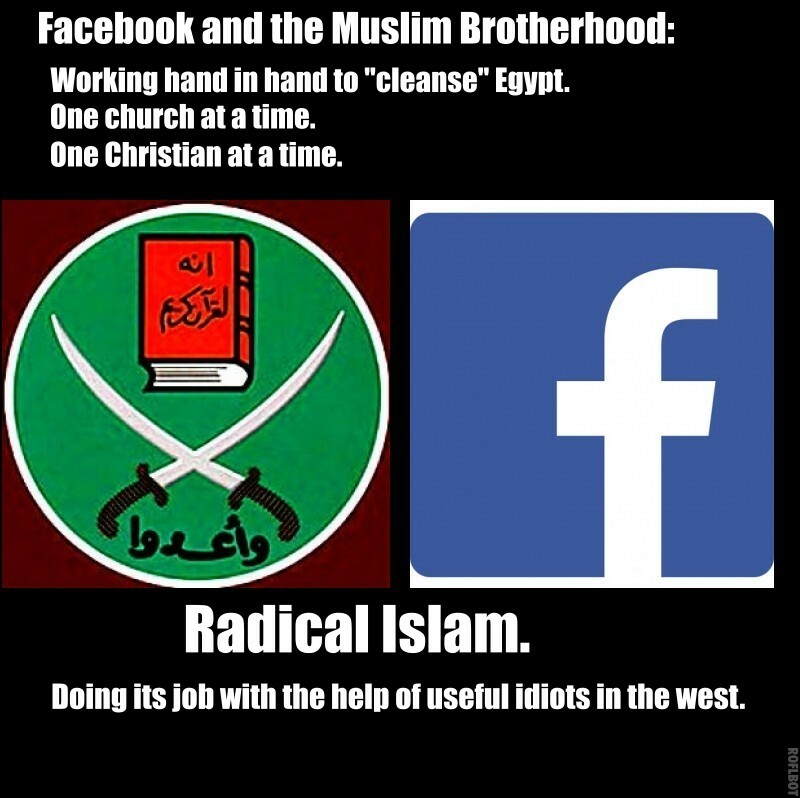 Although this is a propaganda coup for radical Islam, it is the cover received from Facebook that is taking a real toll in human life.